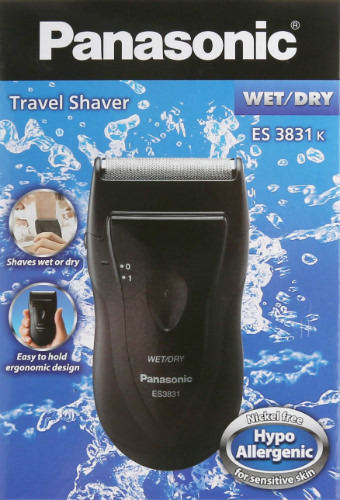 If you’re on a tight budget, or searching for a second shaver to fit in your travel kit, the Panasonic ES3831K single blade travel shaver may be right for you. 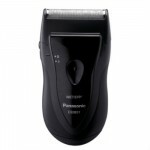 This shaver is a foil-type and comes in a compact, black casing. It has a large on/off button on the front of its body. 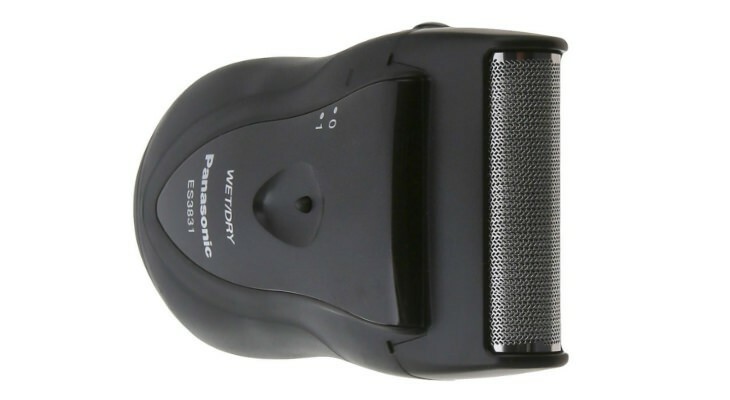 This shaver is so affordable, that you may wish to buy an extra for car or briefcase. This Panasonic shaver has a floating head that will follow the curves of your face, making it a comfortable shave. This shaver is cordless, but its battery-operated, so you may wish to buy some rechargeable batteries, if you think you’re going to be using it more frequently than while on vacation. It takes two double AA batteries. Two batteries should give you about ninety minutes of shaving time. The one blade system of this electric shaver promises to stay sharp, even when you use it for months. 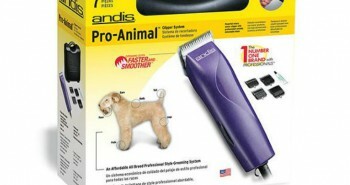 Its internal blade is precision-angled to snip off all hairs down to skin level. It’s angled at a seventy-eight degree angle. The motor runs at 8500 RPM, which isn’t the fastest you can get, but perfect for travel purposes. The foil head of this shaver is built to be floating, meaning it will follow the angles and contours of your face, without having to wiggle your hand around too much. One neat feature of this shaver is that it can still be used wet or dry, regardless of its lower price. This means that while this lower price point won’t shave as good as say, a $200 shaver, you can still obtain a clean smoother shave with the addition of soap and water, or shaving gels, creams, and foams. Of course if you don’t wish to use your shaver wet, it can still be used for a quick dry shave. This compact shaver is easy to hold in the hand. It’s built with the best ergonomic design. It won’t be easy to slip out, if you’re shaving over a running tap, or in the shower. The shaver measures 4.56” x 2.36” x 1.4”. It’s light, and portable to take with you. It weighs only 0.34 pounds/5.4 ounces. Many shavers may make your skin feel irritated, as the foil contains nickel metal, but this shaver is nickel-free, and is labelled as being hypoallergenic. If you have allergies, this may be the right shaver for you, as it has a stainless steel foil. 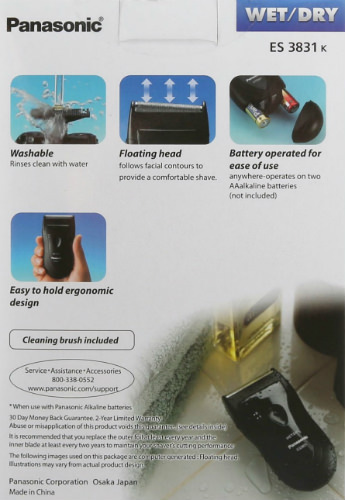 It’s simple to clean your Panasonic ES3831K single blade travel shaver. All you have to do is rinse it under a warm running tap, and use the included cleaning brush to get in the nooks and crannies. Shake out the excess water, and then wipe down with a towel. It will air dry from there. The compactness of this unit may make shaving other regions of your body easy as well, such as ears, and arms. In the package you will receive one Panasonic ES3831K single blade travel shaver, a plastic snap-on foil guard, and a cleaning brush. Supply your own travel bag, or buy one at the same time. You can buy replacement accessories for this shaver: a new outer foil, inner blade, and combo pack. This shaver has an average of 3.9 out of 5 stars which is actually pretty good, considering its affordable price and compact unit. Many more expensive models of electric shavers don’t score that high. 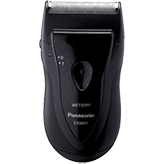 While you could use the Panasonic ES3831K single blade travel shaver every day if you wished, you may be better off with a more expensive model. But if budget is a consideration, give it a try. 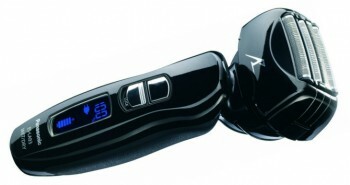 This electric shaver works best for day old stubble, maybe two days max. It’s not a great option for trimming mustache or beard hair. Save this shaver for touch-ups during the day, or for travel. It may also be a great option for youth who are just beginning to shave, but don’t know what type of shaver they want you. Either way, you can’t go wrong with using the Panasonic ES3831K single blade travel shaver as a back up shaver for travel.